In the middle of the spice and coffee plantations lies the picturesque Abbey Falls, which is one of the favourite weekend spots for Bangaloreans. Fed by Cauvery River, the water cascades down the rocks with a strong force, which is audibly and visually spectacular. Visitors can soak in its beauty from the hanging bridge built opposite it, or enjoy an equally stunning view from the bottom while frolicking in the water. 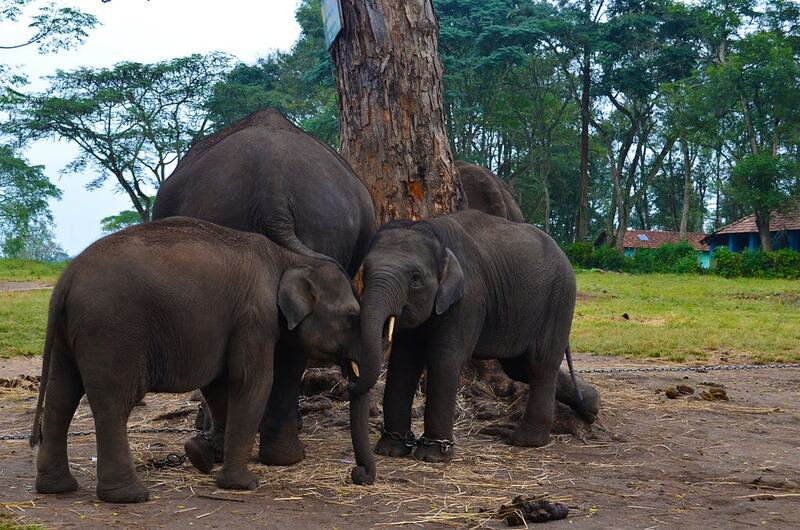 The Dubare Elephant Camp lets you get up-close and personal with elephants. It is home to more than 150 elephants, and provides an opportunity to feed, bathe and interact with these beautiful creatures. Prepare to get soaked, as elephants will squirt you with water from their trunks. Those feeling a bit more adventurous can go for whitewater rafting on the Cauvery River. The rapids are not too difficult, which makes it great for beginners. Be sure to look around and soak in the lush greenery on either side of the water. Built in the early 19th-century, Sri Omkareshwara Temple is dedicated to Lord Shiva, and stands out with its beautiful architecture, which is a blend of Gothic and Islamic styles. After seeking the blessings in the temple, explore the grounds that feature a water pond filled with fishes. Located in the Madikeri town of Coorg district, Raja’s Seat (Seat of King) was once a favourite spot of the Kings of Kodagu who visited here with their queens to watch the mesmerizing sunset. It features musical fountains and a seasonal garden adorned with a myriad of flowers. It is surrounded by low-rise mountains, valleys and lush greenery, which add to its charm. If you want an Instagram-friendly view, head to this spot either early in the morning, when the environs are covered in mist, or during sunset hours, when the clear sky turns into hues of orange and red in mere minutes, as well as transforming the mountainous surrounds and lush valleys into gorgeous silhouettes – a sight to behold. Fed by Kumaradhara River, the Mallalli Falls plunges from a height of 62 meters into two cascades. It lacks in scale, but it more than makes up for with the abundant natural beauty and stunning views of the surrounding lush hills that it provides. The best time to visit is July to December, when the water flows at full volume, creating a thundering roar amidst the quietness and tranquillity of lush greenery. Surrounded by coffee plantations, mountains and man-made caves, the Honnamana Kere Lake is the biggest and one of the most spectacular lakes in Coorg. 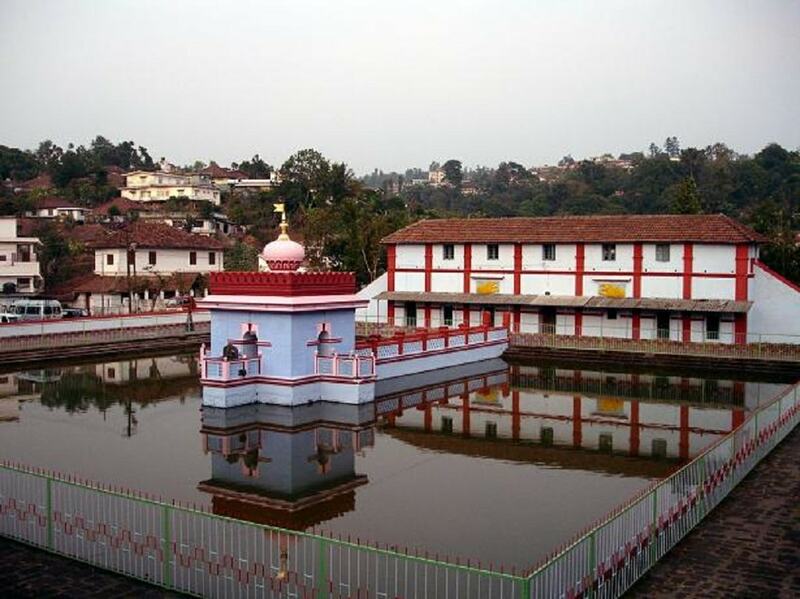 The lake is named after Goddess Honnamana, hence it is considered to be sacred. It comes alive during Gowri festival, when a special ritual (puja) in honour of the Goddess is held, and devotees in their thousands flock here to pay their respect. For the best views, take to the water via boat and soak in the peaceful atmosphere. With mountains and grasslands, Coorg sets the scene for spectacular treks. You will find hiking paths varying from easy to difficult. Some of the best hikes include Tadiandamol peak (Karnataka’s second highest peak), which is difficult, but worth it for the stunning scenery; the Brahmagiri peak trek that will take you through the trickling streams and diverse flora and fauna; Mandalpatti View Point that stands out with its abundance of greenery and awe-inspiring vistas, and the Pushpagiri peak. Those seeking an adrenaline rush can embark on a rafting excursion. Barapole River is the perfect spot for whitewater rafting, with rapids ranging from II to V, making it suitable for both beginners and pro rafters. Most rafting tours last for an hour or so, and an experienced guide will accompany you. There are several tour operators that organize trips down the river, some of the best include Thrillophilia, Kodagu Whitewater Rafting, and Wandertrails. 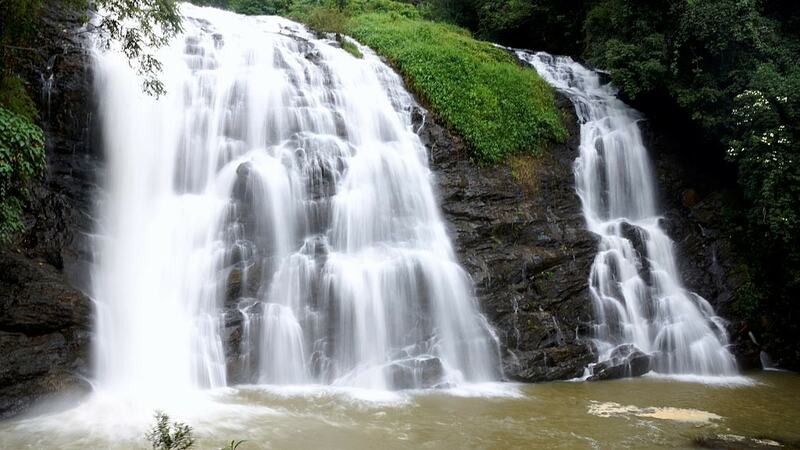 Nestled in the Brahmagiri range in the Coorg district, the Irupu Falls is one of the most impressive waterfalls. 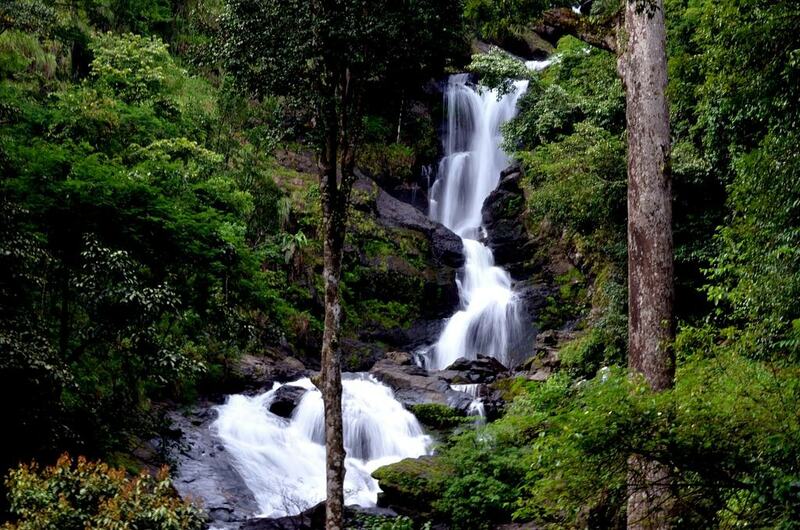 Fed by Lakshmana Tirtha River, the fall drops from a height of 60 meters amidst the lush forests and mountains. Visitors can enjoy its beauty from the bottom while bathing in it. Also, the falls are considered to be sacred, so taking a dip in the waters is believed to wash away all the sins. 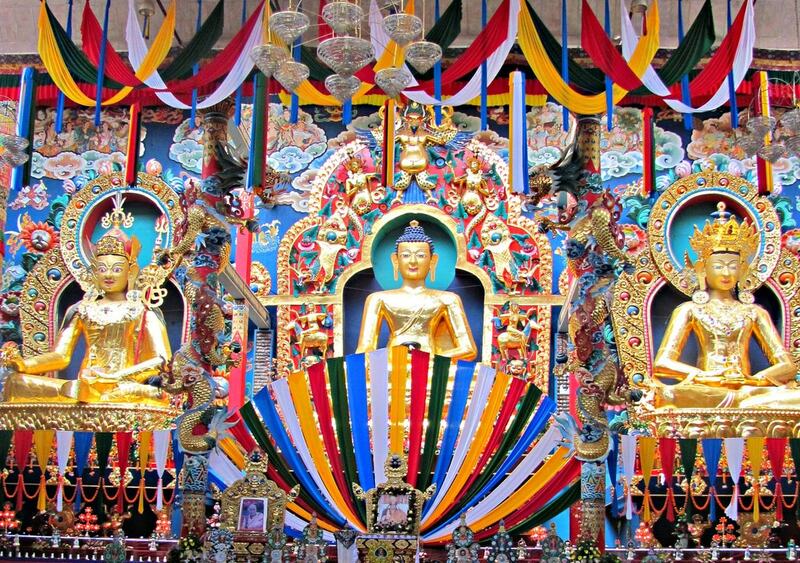 Just an hour or so drive from Coorg lies South India’s largest Tibetan settlement, Bylakuppe. It’s a Tibetan cultural hub, and one of the major highlights include the Namdroling Monastery, also known as the Golden Temple that boasts quintessential Tibetan architectural style. The temple features gold idols, Tibetan art and paintings. Rituals and chantings are held daily, in which you can partake and attain some inner peace. This place comes alive during Tibetan New Year (Losar festival), which is celebrated with zeal and zest, and attended by several thousands of visitors from across the world. Also, there is a small shop within the premises that sells Tibetan knick-knacks, should you wish to take home some mementos. While you’re in the Kodagu district, a visit to Nagarhole National Park is a must for wildlife enthusiasts. 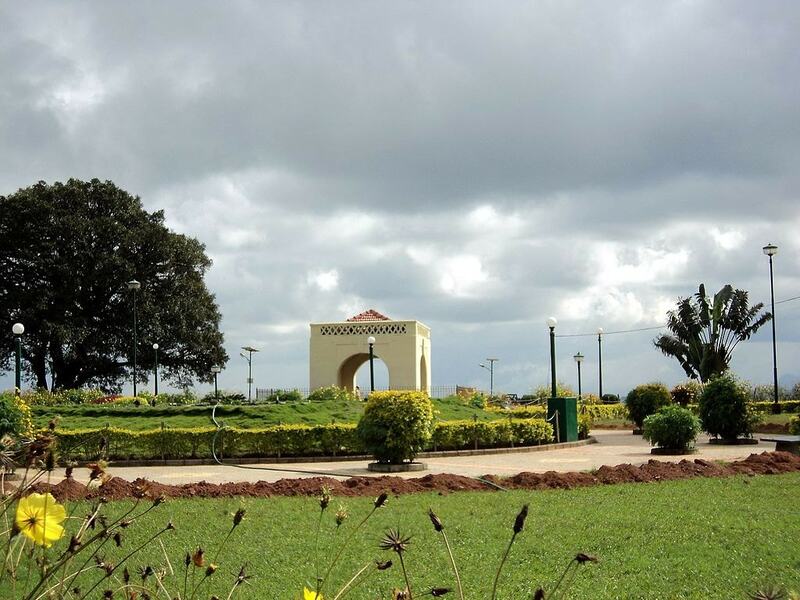 Also referred to as the Rajiv Gandhi National Park, it is home to a variety of animals and about 270 bird species. You’ll able to spot wild elephants, Indian bison, sloth bear, Asiatic wild dog, grey jungle fowl, crested serpent eagles, herons, flycatchers, common kingfishers and much more. There are jungle lodges deep in the forests that give you an opportunity to see the park’s more elusive animals, like tigers and leopards.